If you're serious about moving snow that might be on top of your ski partner, consider carrying the Rocket. With a telescoping handle that extends to 65cm (25.6 inches) and a sturdy 24cm x 28cm blade (9.4" x 11"), the CAMP shovel can move some serious snow. While heavier than some other shovels, the Rocket makes up for it by being very packable. A clever design features no protruding blade parts that, combined with the collapsed handle, fits neatly even in race packs. 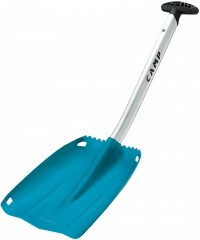 This is the shovel for your fast and light setup on high avy danger days. Aggressive toothed design with a serrated boot-to-blade edge cuts through avy debris like butter. Telecoping aluminum alloy shaft has a subtle ergonomic bend to get the most out of your efforts. 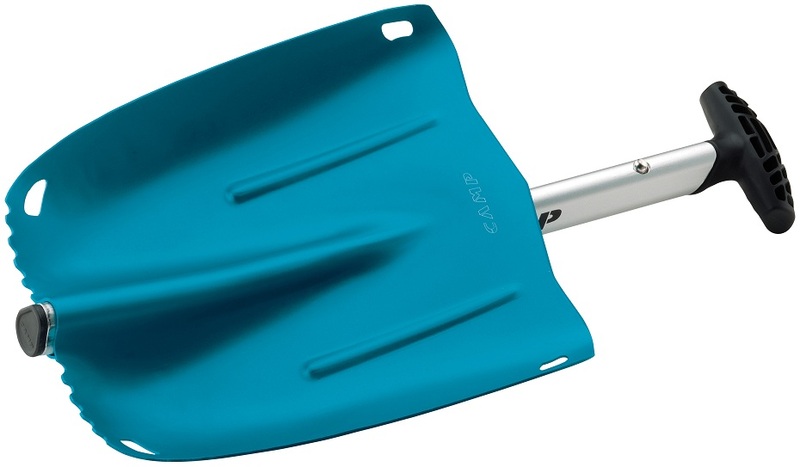 Blade design has no protruding handle connection that allows the shovel to pack flat in your (race) pack. Four holes in the blade allow for use as an anchor or yet-to-be-determined creative uses. 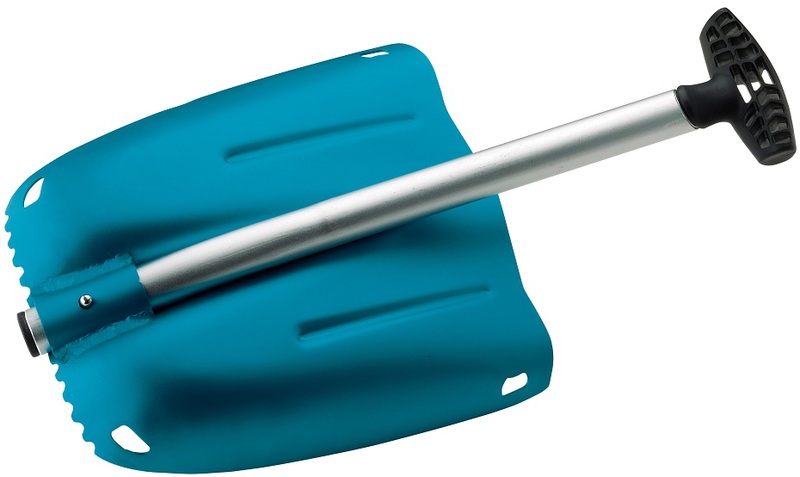 This is a solid shovel. I won it at a race last year - which I think skimo donated the prizes to. Fortunately I've carried it many times and used it very little (never in an avy). It'll fit in some race bags, and fits easily in a larger 30L bag I use for most other touring days. When not touring, I throw it in the back seat of my car in the event my 2wd car finds itself in an inconvenient situation. It's not the lightest one available, but the basic design is pretty much indestructible, and it's pretty good at what it would seem its designated purpose is - moving a lot of snow quickly. It's pretty robust - if you needed to knock someone out with it like in Home Alone, you definitely could. My only complaint is that the push buttons on the handle shaft which fix it to the blade (see the third pic) can get pushed into the shaft and don't pop back out. I've had to fiddle around with them using a few methodologies to get them to pop back out. Most of the time it's a quick fix, but on the other hand, it's probably not something you wanna mess with in an emergency. It's also possible that the button holders (no idea what to call them?) are supposed to be fixed in the shaft, and mine just came unstuck. Hi bmac, thanks for the feedback. FYI CAMP can warranty anything that seems out of place. Happy to do that in this case to get it resolved. Will this fit in a race pack for light touring days? Hey Eric, in general it does. What pack do you have? I can double check with that one specifically. The Millet Comp 20 , thank you for checking! No problem. The blade does not fit in the front-most sleeve designed for a race shovel, but you can put it in the main compartment no problem. Handle fits without issue. The shovel fits in both the Millet Race 20 and the Salomon X-Alp 20.